If you have a dental emergency, Dr. Lenz and his staff will make every effort possible to see you that same day. 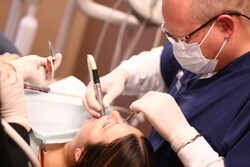 We understand that dental issues can be painful and unpredictable. For that reason, we maintain flexibility in our schedule each day to fit in patients who need to see us without prior notice.